Calgary, AB, May 1, 2017	(Newswire.com) - viiz is pleased to announce that Bill Whisenhunt, a technology industry veteran, has joined the company as Director of Technology Strategy. Bill led the technology integration of viiz with his former employer, where viiz was chosen as a strategic outsourced supplier. ​"We are excited to have Bill join viiz. He adds technology bench strength to our team and brings a tremendous amount of experience including voice recognition systems, solutions engineering, network architecture, and call center software", said James MacKenzie, CEO of viiz. Supporting contact center technologies for over 30 years, Bill has attained evolutionary success in design and implementation of transactional voice services. Bill has been hands-on since the initial VRU applications of 25 years ago to today’s cloud based distributed speech-enabled service platforms. Additionally, Bill brings his experience with commercial voice biometrics as well as ASR and TTS for multiple language sets including unique Indian languages. viiz serves over 1,200 communications providers and enterprise customers with outsourced, on-premise, cloud and hybrid solutions. viiz provides VoIP communications solutions to consumers and businesses as well as technology and software solutions to the enterprise marketplace. The viiz call center provides operator services, directory assistance and customer care support. viiz consists of a team of experienced business professionals dedicated to customer service excellence. viiz provides solutions with a smile! To learn more, please visit www.viiz.com. Are you looking for a communications partner who sees beyond a call? 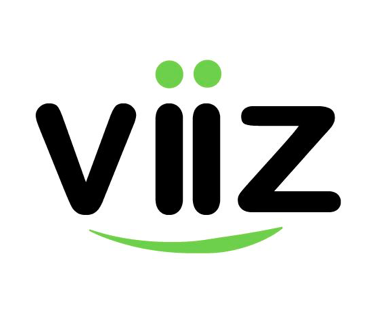 viiz puts the smile back in communications. viiz provides steady core communications services, value in our product and service offering, and the ability to bridge to the future.